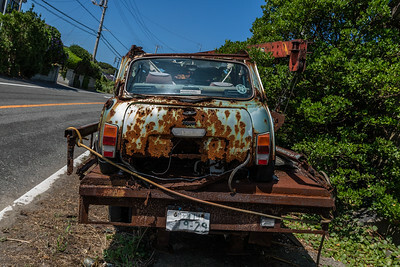 Usually trash is ugly but often it has its own beauty like long time abandonned cars that are slowly rusting away. Not all items on these photos are trash or are seen as such by their owners. Some are even very well preserved but I am including them because normally they would have become trash if not cared for especially. 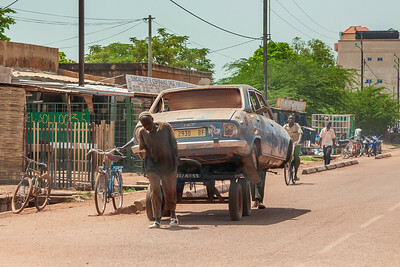 Peugeot 504 on the way to repairs in Koudougou, Burkina Faso. This model came out in 1968 when I was ten years old. 43 years later they can regularly be seen in traffic in Western Africa. Beautiful Trash! 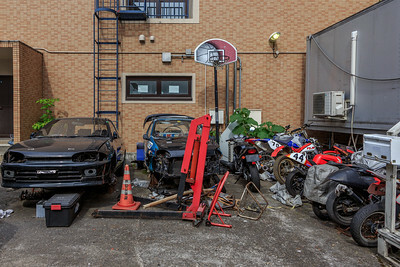 Both the tow truck and the loaded Mini Mayfair must have been resting here fore a long time. 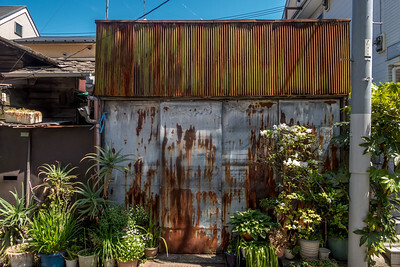 The unforgiving humid and salty air close to cape Sunosaki has reduced them both into hardly recognizable sculptures of rust. 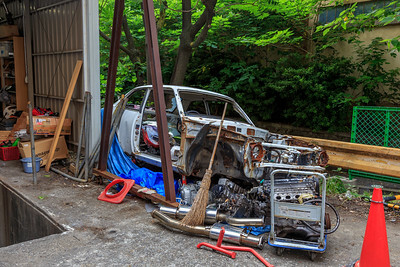 No clear winner between British and Japanese steel! 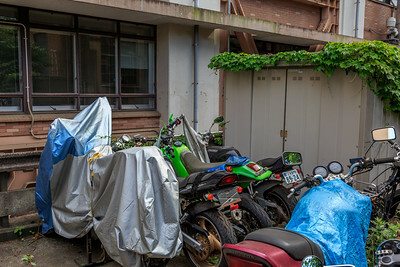 HDR developed from one shot with the M3 and the F17-40L lens. 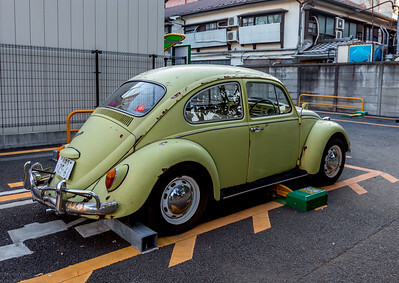 A rusty beetle from mid 1960 recently seen in Tokyo. Still roadworthy it seems being parked on a paying slot. Although not trash I have added this photo to the collection. 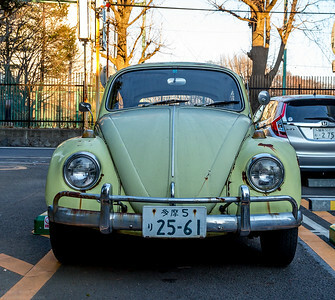 I came accross this car in the Omoto Sando area of Tokyo. It is enormous and it is alsmost a wonder hwo it got there through the tiny streets. Porsche 928 in Akasaka. No trash but just fitting the collection as probably most them are trash by now. 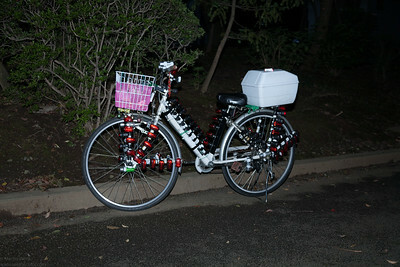 This bicycle is decorated with an incredible number of LED lights. Unfortunately I could not yet see it in action in the night. 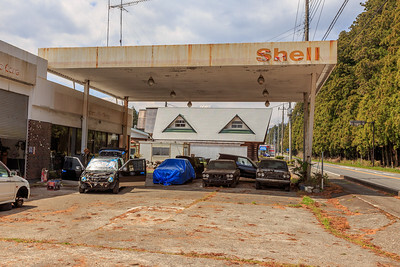 Near Nikko I came to this gasoline station that must have closed down long time ago. 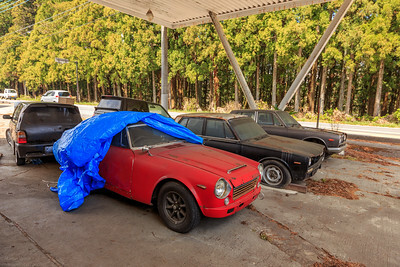 The were several old Datsun and when I asked the man removed the plastic cover to reveal this beauty of the past. 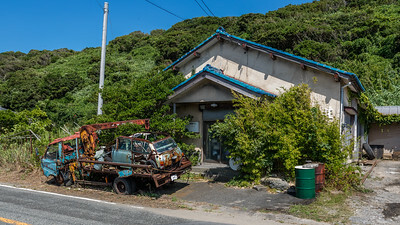 Even in the most remote and pristine areas of Japan there is always some kind of a trash yard. 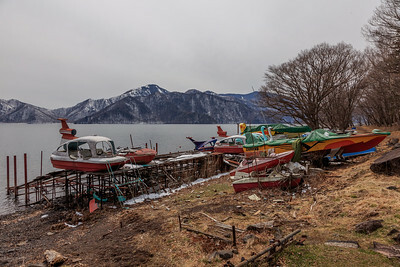 On he shore of the otherwise beautiful lake Chusenji it comes in the form of retired boats and pedalos. Are they waiting for resurecction? The ulgy duck boats' demise. 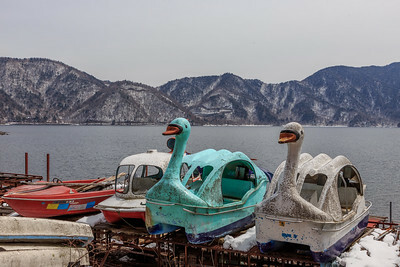 I really hate these boats in the form of ducks and how they can destroy an otherwise beautiful scenery. Here some of them have met their fateg! 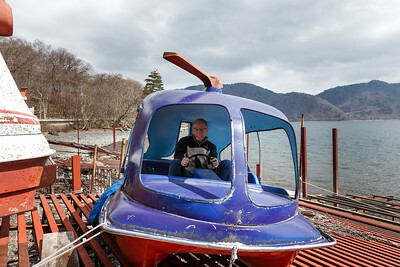 Trying to take of in my purple helicopter. 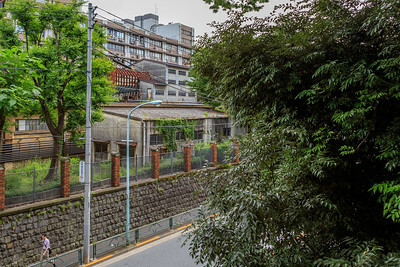 View towards the department of mechanical engiering of the Tokyo University. In the middle a curious huge wind machine. 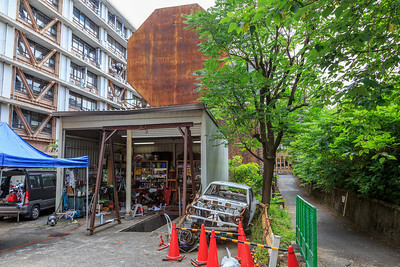 Tokyo University department of mechanical engineering. A absoltuley fantastic wind machine is here, rusty and idle and probably never used. Next to it the race car tuning club. 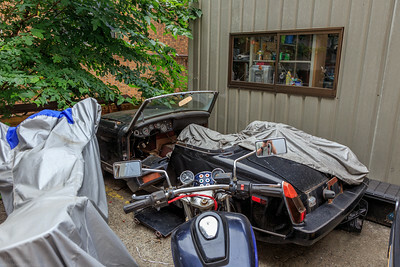 An MG B awaiting its unsure future. 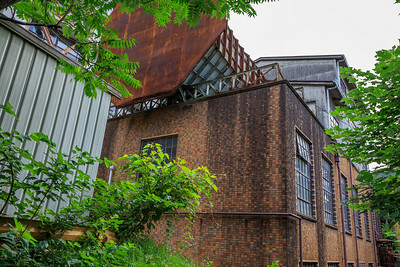 The huge funnel on top of the brickstone factory building.